Have you thought about writing in the cloud? 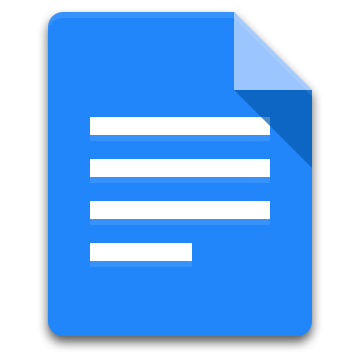 When I started writing, the first several months I wrote everything in Google Documents. For one thing, it's free. Sign up for a Gmail account and Google throws everything at you, which is nice. The files save periodically. Rarely have I ever lost more than a sentence because of stupidly closing the window or computer crashing. A hard drive crashing doesn't affect the files, so there's no worry about losing anything ever. Just make sure to put two-step verification on for security purposes. The bad news is you must have an Internet connection to write at all. This can cause problem when you're not at home or at a place with an unstable WiFi connection. A Starbucks with spotty WiFi service can cause sentences to disappear or even an entire paragraph not to be written down because you weren't paying attention. It doesn't have to be Google Docs, any cloud service will do. You can write directly in them or upload files every day by putting it on automatic. Text files are small, and every service gives gigabytes of information for storage. As writers, we never have to worry about filling to capacity. Full novels can be stored for years without every filling up a tenth of the space. Cloud services are invaluable to writers and regular uploads should be part of our routine. Now everyone, get back to work. I don't want to see you here until tomorrow, understand?